LINE-X takes incredible pride in the products and people it engineers and supports. Although mainly recognized as a leader in spray-on bedliners, LINE-X also provides advanced solutions in the form of protective coatings, specialty automotive coatings and vehicle accessories. North America’s largest automotive aftermarket retail franchise, LINE-X offers a full line of multipurpose protective coatings engineered to defend against just about anything. Our specialty protective coatings were created and designed to be used for various applications on your vehicle-inside and out. 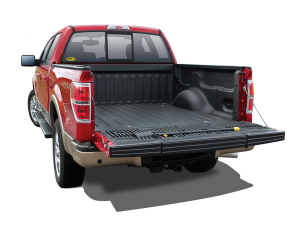 LINE-X Spray on Bedliner carries a lifetime warranty against cracking, bubbling, or flaking as long as you own your truck. Even if the damage to your Bedliner is not covered by the warranty, a Southern Utah LINE-X location near you will be able to seamlessly repair any damage that may have occurred. This high tensile protective coating bonds to your truck bed, following every angle and curve, giving it a factory-like finish and water tight seal. Each coating differs at a molecular level which results in distinct physical characteristics, making it ideal for various industries and applications. It was created with UV stable technology, no VOCs (environmentally friendly), a high “shore D’ hardness rating and its wicked fast cure time means that it can be sprayed vertically and overhead without dripping. See for yourself why more people are choosing LINE-X for unparalleled vehicle protection. LINE-X Spray-On Bedliners consistently receive top marks for customer satisfaction. Each and every LINE-X Franchise sprays the highest quality, toughest bedliners that we can engineer. Backed by a Lifetime Warranty, a LINE-X bedliner is likely not to tear, crack, bubble or flake*. 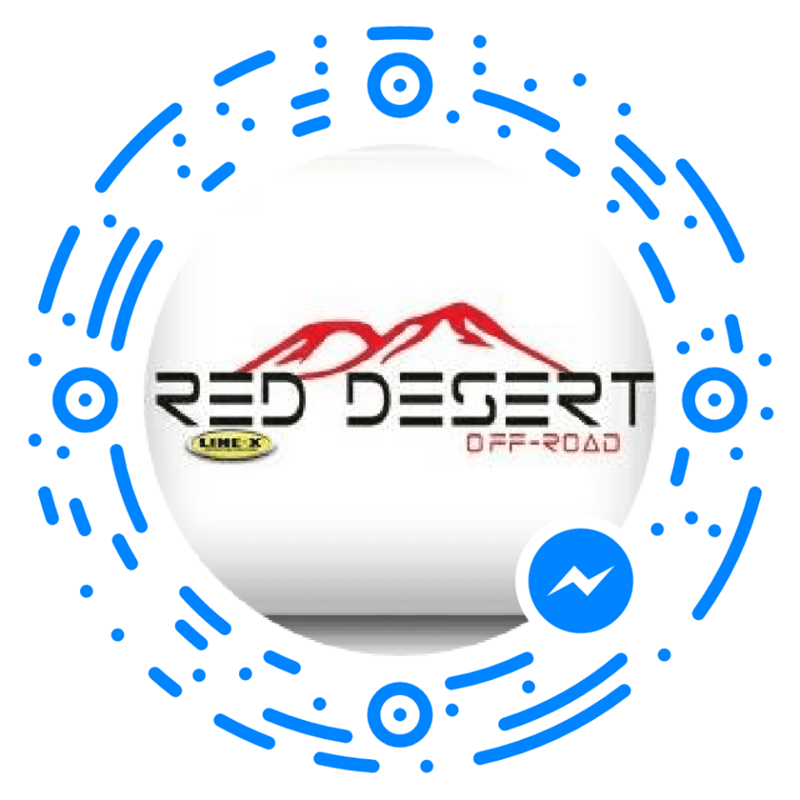 Recognized as the leader in spray-on bedliners, Red Desert Off Road wouldn’t dream of using any other spray on bedliner other then LINE-X. A permanent bond that molds seamlessly to your truck bed. There’s no air gaps or drill holes here, only a water tight, rust resistant truck bed liner. No cargo space is lost after the application of our Spray on bedlinders. Inspection plates and tie downs may need to be removed upon application, but can be reinstalled afterwards. The thick textured surface is perfect to keep cargo in place and to reduce the rattle of your ride. You’ll see and hear the difference with LINE-X spray on bedliners. Bedliners of this quality only increase the value of your ride. Resistant to most common chemicals like chlorine, diesel, bleach and more; bedliners add value to your off road vehicle by braving the elements and keeping your truck bed in top condition for years down the road. Complete customization for your aftermarket color with LINE-X Xtra. LINE-X has a reputation for durability and long-lasting protection that goes far beyond the bedliner. Adaptable and resilient, LINE-X protective coatings are environmentally-friendly, contain no volatile organic compounds (VOCs) and provide solutions that comply with industry-specific regulations and severe service environments. Whatever surface you adhere LINE-X protective coatings to, you are creating a damage resistant surface with a durable coating that absorbs impact while remaining strong and flexible and protecting your surfaces from extreme elements. The tensile strength, UV stability, hardness, and elongation are all factors that influence performance, function and lifespan of the product. For more information or product details, feel free to contact us or stop by our ever-expanding showroom in Southern Utah. In the meantime, check out our Interactive Garage, to see what other accessories will look amazing on your Truck or Jeep today.